The Sofabank by Rolf Heide is a classic from the 70's. 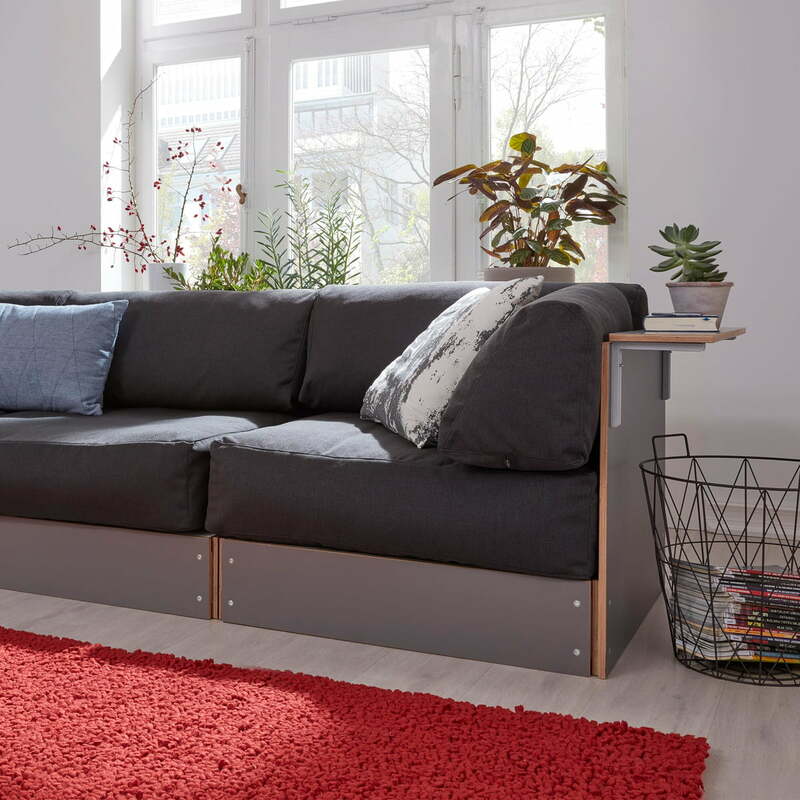 Just like the stacking bed, the timeless modular sofa also easily adapts to different room situations and also has a space-saving and flexible functionality that allows you to assemble the sofa according to your own ideas. The basic module of the Sofabank (sofa bench) consists of two elements: a box made of perforated plywood panels and cushions that lie loosely on top. 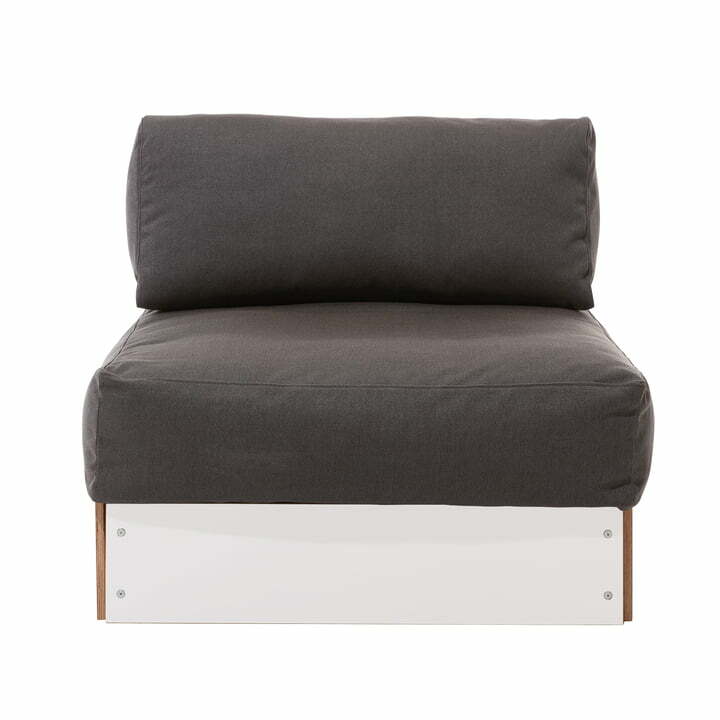 The contrast between the rigid box and the soft padding creates a seating, which surprises with high comfort goes well in any room thanks to the timeless design. 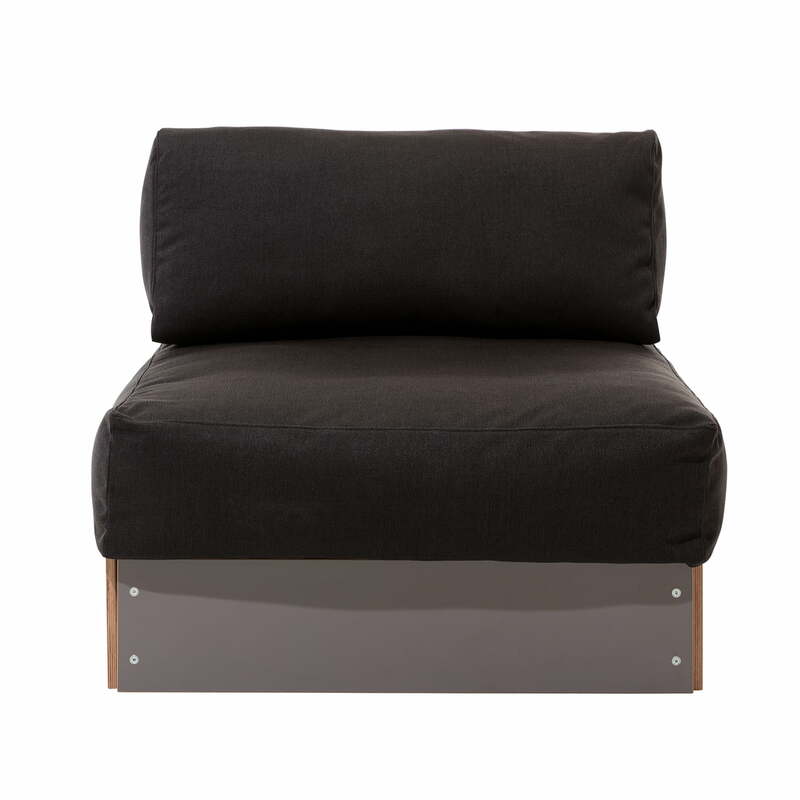 This design is manufactured by Müller Möbelwerkstätten both as a single element with backrest, as well as corner element with back and armrests. All elements allow to be completely disassembled. 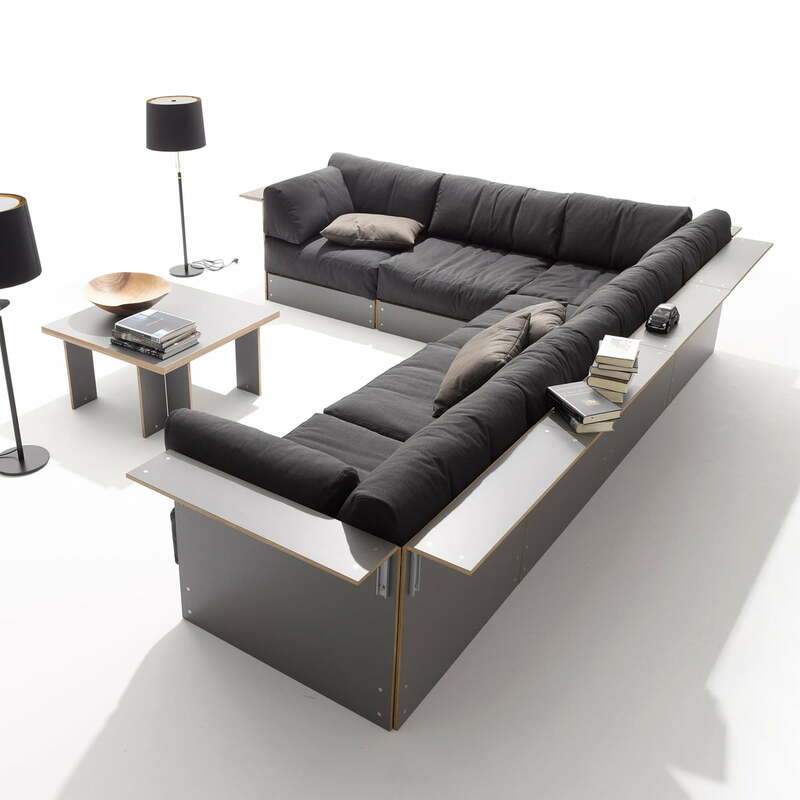 This makes the modular sofa very flexible and adaptable to any room situation. Starting with two corner elements, which together form a 2-seater up to the spacious sofa landscape for the whole family, which can be composed of infinitely many sofa bench elements. The matching side trays round off the collection and make the sofa bench by Rolf Heide more than just a seating. Low, wide platforms and side tables in different sizes offer additional storage space. The box consists of birch plywood with a high-quality CPL coating. The padding and cushions are covered with the fabric Bergamo, a hard-wearing fabric in linen look. In addition, it is water-repellent and dirt-dissolving and easy to clean thanks to the SIMPLEcare equipment. 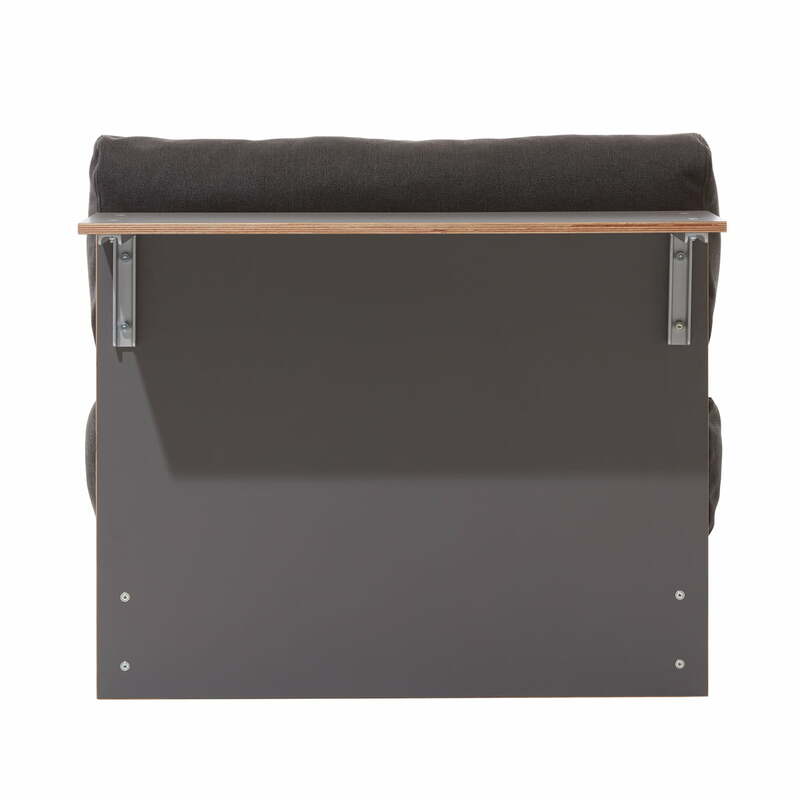 Product view of the sofa bench single element for Müller Möbelwerkstätten. The box is made of birch plywood in white and the padding and cushions are covered with Bergamo fabric in grey. Ambience view of the Sofabank by the brand Müller Möbelwerkstätten. 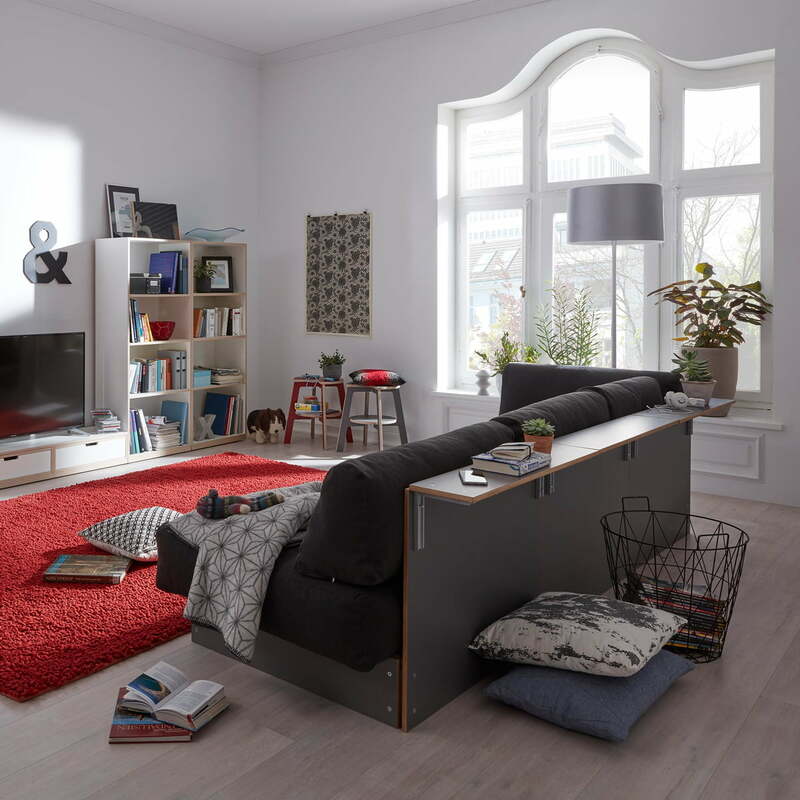 Low, wide platforms and side tables in different sizes offer additional storage space. The box, as well as the side shelf of the sofa bench by Müller Möbelwerkstätten in CPL are anthracite in birch plywood with a high-quality CPL coating. Product view of the sofa bench single element for Müller Möbelwerkstätten. 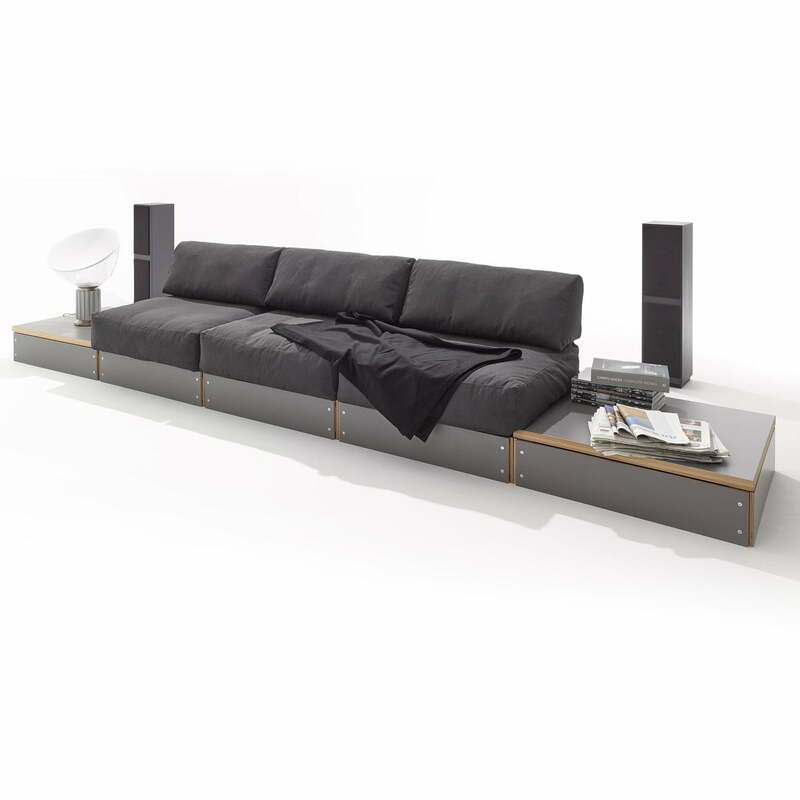 The box is made of birch plywood in white and the padding and cushions are covered with Bergamo fabric in dark grey. Backside view of the sofa bench single element for Müller Möbelwerkstätten in CPL white. 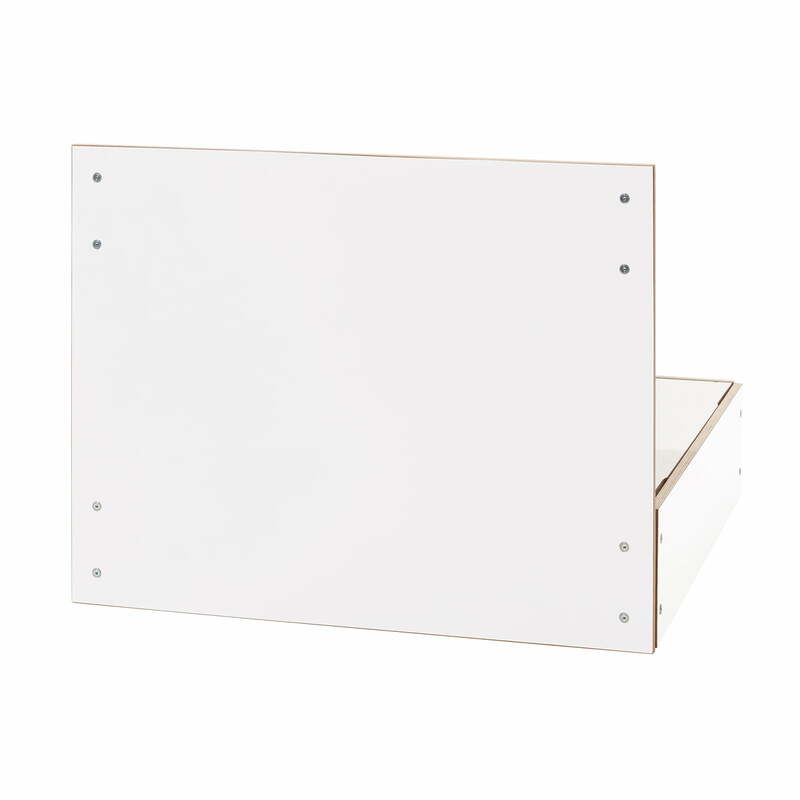 The box consists of birch plywood with a high-quality CPL coating. The basic module of the Sofabank (sofa bench) by Müller Möbelwerkstätten consists of two elements: a box made of perforated plywood panels and cushions that lie loosely on top. The matching side trays round off the Sofabank by the manufacturer Müller Möbelwerkstätten and make the seating designed by Rolf Heide more than just a sofa. Rolf Heide has revised a classic of the 70s for Müller Möbelwerkstätten with the Sofabank or sofa bench and has created a variable living and seating landscape for the whole family.